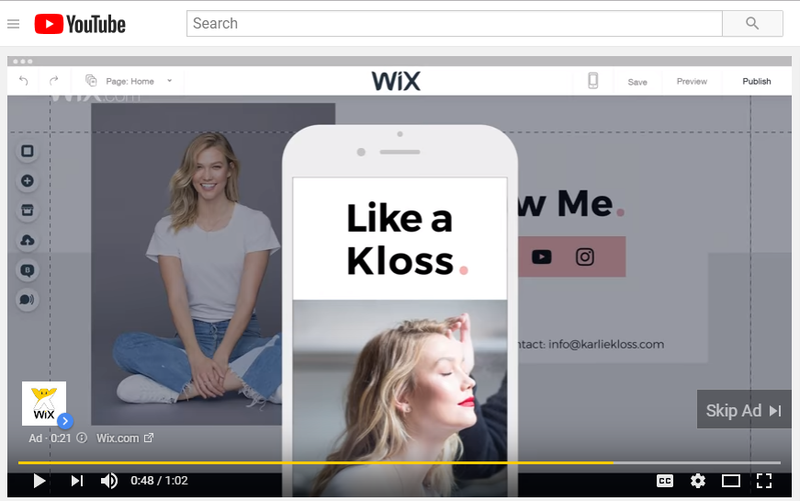 Practically everytime I watch a YouTube video, Wix shows up. I have to admit, being a designer and dealing with websites often, they are definitely targeting the right person. 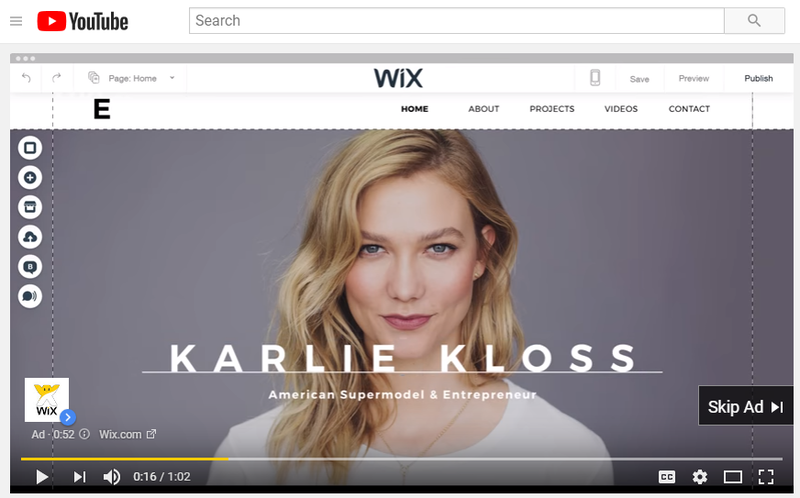 For anyone who hasn’t been plagued with as many ads as I have, you should know that Wix is a website builder much like WordPress. They feature stunning designs, but the main plug seems to be that anyone can build a website. They use a lot of drag and drop features, and the user interface is extremely user-friendly. Their objective seems simple. Convince as many people as possible to use Wix to build their websites. Their target audience is the everyday person rather than the website designer that knows coding like the back of their hand. One way they show off their product during the campaign is through videos. They show how quickly someone can put a website together. They literally build one before your eyes. This shows just how easy it really is. Another way they implement this campaign is through native ads like this one that I also found on YouTube. Again, they have a simple and clear call to action. I think the thing that made this campaign successful is their use of showing rather than telling. They showed that they were not exaggerating. Wix really does make it really easy to create beautiful websites. Every wannabe blogger wants their blog to look that professional. Because the ad makes it look so easy, a lot of people that aren’t tech gurus are attracted to that.